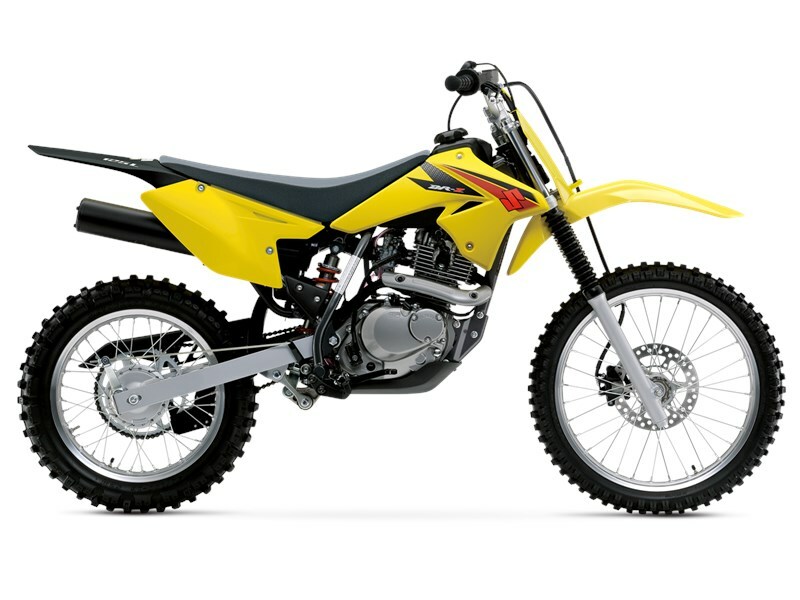 The 2016 DR-Z125L comes stocked with all the necessities for long, exciting rides. A larger 19-inch front tire and 16-inch rear tire as well as a front disk brake provide a longer lifespan of usefulness. Styled to reflect the RM-Z models, this DR-Z promotes a more race-oriented look while the sharp handling and strong low-to-mid end power provide the get-up-and-go that defines off-road bikes. The looks are a testament that you can’t judge a book by its cover because the DR-Z125L is a simple package packed with loads of fun. Easy pull, rack & pinion manual clutch lets the rider control take-offs and power delivery. 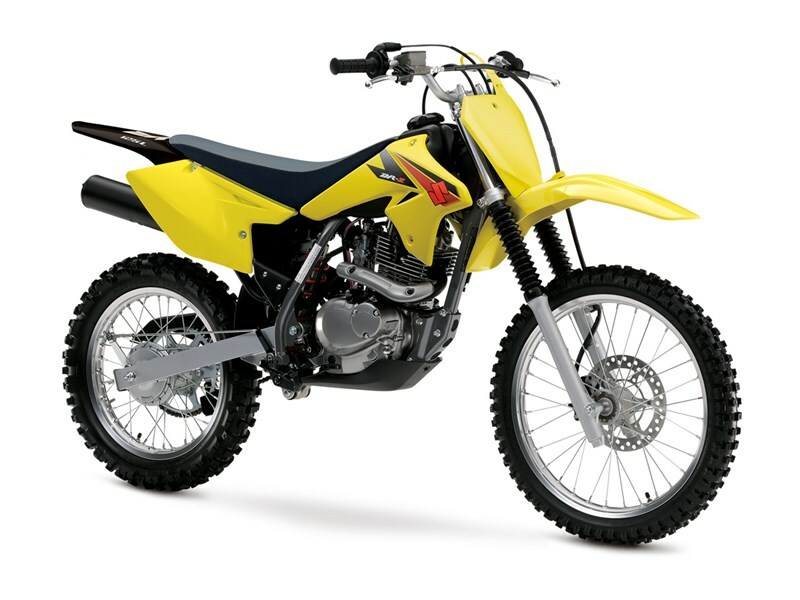 Lightweight, high rigidity steel pipe frame and rear beam-style swingarm are designed specifically to create a compact, fully-sized off road machine. Lightweight aluminum rims (19-inch front/16-inch rear) for reduced weight contributing to agile handling and improved suspension performance. Strong braking performance provided by lightweight front disc and rear drum brakes. Telescopic front forks and link-type rear suspension provides long wheel travel and smooth, progressive action that creates an enjoyable, comfortable ride. 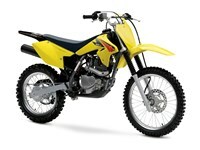 Bright Suzuki Factory Yellow bodywork with matching race-inspired graphics.